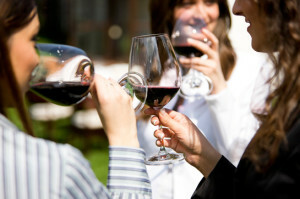 Wine is not merely a beverage, but a way to enable conversation. Like life, wine is about relationship and Jerry Owen, the owner of Lady Hill Winery, knows this. 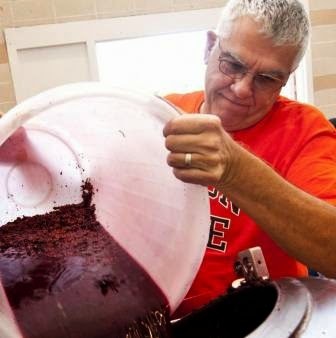 Jerry is more than a winemaker; he’s a 5th generation farmer and a storyteller. The story starts with the name of his label: Lady Hill. This is what he calls the land where he lives because he can count the number of boys in his family on one hand. He calls himself a household facilitator and in recognizing his lot in life, he embraces the feminine qualities of his conversation elixir. It’s easier to tell a good story if it’s yours to tell. No one can tell Jerry’s story like he can, so for anyone representing a brand – and we all are if we’re looking for work – we have to make the story our own. In fact, if you’re making a recommendation to a friend, chances are you told them your story to make your case. If you’re struggling in your search for work, consider the story you are trying to tell. Are these jobs even for or about you? Or are you following someone else’s plan? One question I like to ask the people I work with is if they are looking for a survival-based job to ease their mind or a passion-based job to feed their heart. Depending on their answer, where they look and how they look may change. If you’re struggling with the story you tell in your job search, slow down and allow the wine to breath. If you’re looking for the wrong sort of jobs, this is your chance to look for ones that fit your story. If you’re looking for the right jobs but are still struggling, consider how you can make the story your own. Saying you’re as good as another creates an artificial glass ceiling. By putting yourself in the same category as another, you limit your room to improve. This is where the ceiling comes in. You don’t have to be better than another, you just have to be different, Jerry insists. Uncork the possibilities by not limiting yourself to what others have done or can do. Learn from what they do well, but identify and embrace what makes you different. It just may be what you offer is more pleasing to the palette of the person you want to work with. A second chance at a job or in a career is an opportunity to make something else happen, so what do you want to do differently this time? What do you want to keep the same? As this is a continuation of your work story, what does this winemaking venture offer that your other one didn’t, and where do you plan to take it from here? Who you are shows in your work. Jerry says many don’t respect Merlot because it’s easy to abuse by over-cropping and still, it remains drinkable. For Jerry, wine is like food, it can lose its flavor if you dumb it down in order to mass produce it. If you are changing jobs or careers, identify why you are looking to make the change. If it is due to changing priorities, how can you scale what you offer without feeling like you’ve been over-cropped? What can you do this time that will allow the work, and your love for it, to keep its flavor? You are a winemaker with you career as the wine, and your job as the bottle you’re producing right now. What is your story? What is the conversation you’re looking to start? What lessons are you learning as you pour? I trust that this inspires you to clarify and share what you do with the world. Let me know what I can do to help you invest in your gift. This entry was posted in Career, Change, Creative Metaphor, Ecopsychology, Life Vision, Narrative Ecopsychology. Bookmark the permalink.